I had posted many posts on using colorful text in Facebook chat and Facebook Colorful text generator. Thanks for making those tips popular. 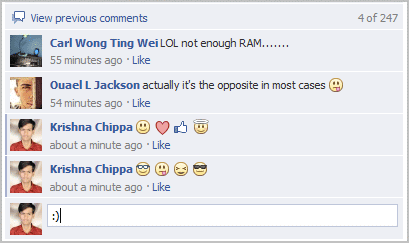 You all know that smileys can be used in Facebook chat. But Recently Facebook has provided this feature to comments too. Now you can express your comments using smiley’s. Read: How To Show Your Profile Picture In Facebook Chat. How To Use Smiley’s In Facebook Comments. 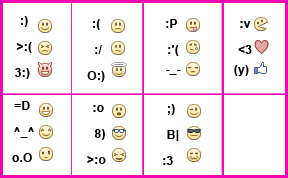 You can use same smiley codes which are used in the Facebook chat.